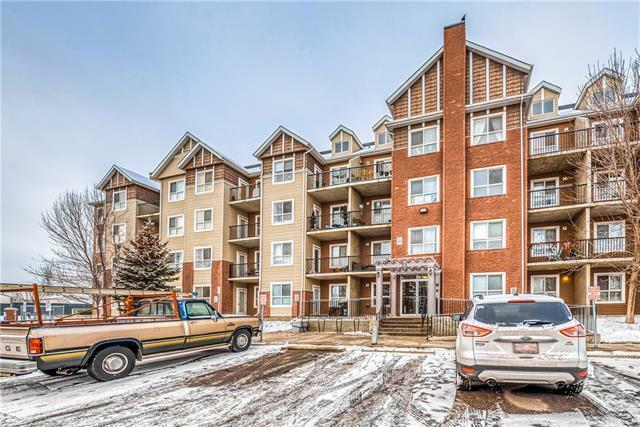 Great corner unit on 3rd floor in Compass Erin Woods with 2 bedrooms, 2 full baths, den/office plus a titled underground heated parking stall. 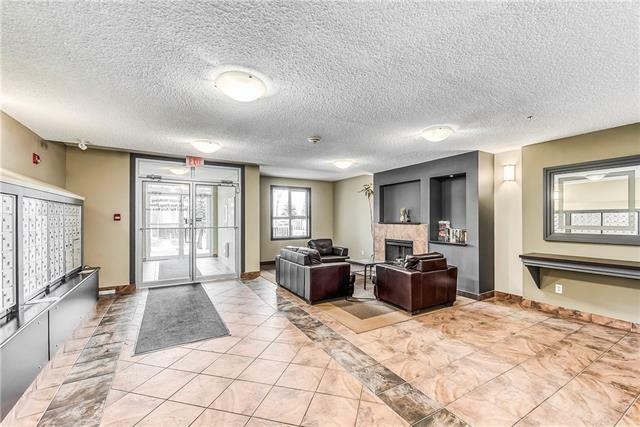 Unit features 9'ft ceilings, huge kitchen island, in-floor heating and in-suite laundry. Very functional floor plan, the bedrooms are located on opposite sides of the unit, each with their own full bath, allowing for privacy and an ideal set up for a roommate. Master bedroom has en-suite bath & walk in closet. A good sized, west facing deck with views of the mountains is perfect for summer BBQs. Condo fee includes all utilities! 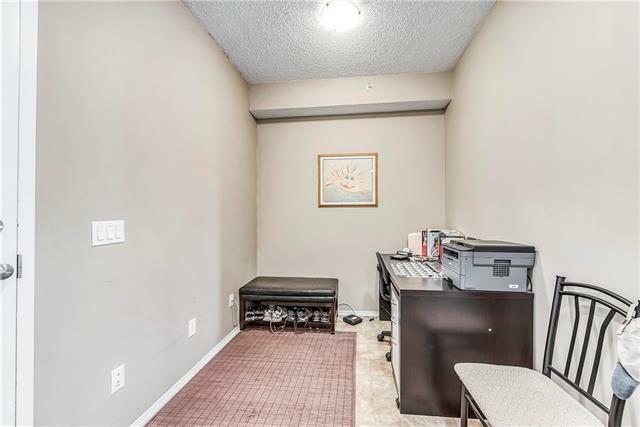 Quiet and extremely well maintained concrete building close to all amenities. 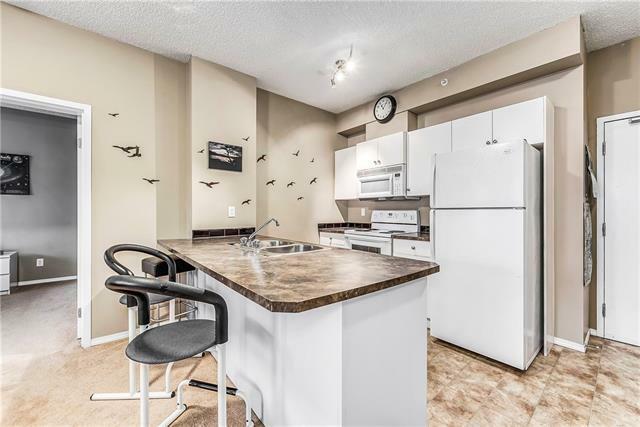 Ideal location with good access to Peigan Trail, 36th street and Deerfoot Trail.